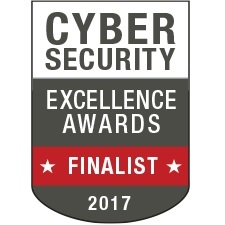 E Com Security Solutions’ the global leader in information security services that provide Compliance, Application Security & Infrastructure security solutions through the cloud, managed security services was selected as a finalist in the category “Best Cyber Security Company of the Year, 2017” by Cybersecurity Excellence Awards, 2017. Pavankumar Bolisetty, E Com Security Solutions’ Founder and Director of Security Consulting has stated, It’s an honor to have E Com Security Solutions’ recognized as a leader in Cyber Security Services and this recognition by the end user community highlights E Com Security Solutions’ market leadership in delivering robust cyber security services to help Organizations and Government entities protect their most important assets from evolving cyber threats and stay compliant with regulations including PCI DSS, PA DSS, HIPAA, ISO 27001, SOX, GLBA / FFIEC etc. E Com Security Solutions’ provides customers with un-paralleled visibility into their information security program by Identifying Organizations risk posture, security vulnerabilities and potential consequences to help information security teams make strategic conclusions and prioritize remediation efforts to develop secure controls and to meet all regulatory, legal and compliance requirements of PCI, ISO 27001, FISMA, NIST, SOX, HIPAA and GLBA. E Com Security Solutions’ provides the ability for management teams to translate this visibility into fine-grained micro-segmentation overview of the level of risk to which an organization is exposed and helps to avoid data breaches that may impact organization’s reputation and brand. E Com Security Solutions’ offer a range of technical vulnerability / security assessment, penetration testing and information security advisory services to address Application Security, Network and Infrastructure security and Regulatory Compliance through the cloud, managed security services and software that help Organizations protect their most important assets from evolving cyber threats and stay compliant with regulations including PCI DSS, PA DSS, HIPAA, ISO 27001, SOX, GLBA / FFIEC etc. E Com Security Solutions’ has aided Organizations that range from Fortune 500 and large financial institutions to small and medium-sized retailers including VISA / Master Card, European Union institutions, banking & financial Institutions, digital wallet providers, payment service providers, insurance firms, hospitals, multi-national food companies, software development and e-commerce companies. Below listed is the high-level overview of service offerings and Please find the attached services data sheet for more information on our service portfolio.